​Ankara, 26th of May, 2015 – Votorantim Cimentos, the world’s 8th largest cement producer*, announces today a €140 M investment in the expansion of its cement plant in Sivas, Turkey. The investment is the largest carried out in Sivas’ history and it will increase the plant’s current production capacity by three times, from the current capacity of 0.6 to 1.8 million metric tons per year. 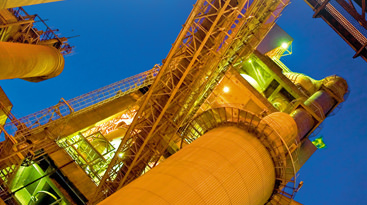 This investment will allow Votorantim Cimentos, which currently operates in the country at full capacity, to increase its market share in the Turkish cement market. The Sivas Plant currently accounts for about 19% of Votorantim Cimentos’ 3 million metric tons per year production capacity in Turkey. After the expansion, it will account for 42% of the company’s total production capacity in the country. Groundbreaking of the plant will take place in June 2015 and construction work will employ around 700 people. Cement production will begin in 2017. The plant will supply the market with CEM I and CEM II, the most in-demand products in the Turkish cement market. Votorantim Cimentos recently announced a € 1.61billion investment package, going from 2015 to 2018. The company will invest this amount in five new factories in Brazil, one in Bolivia, as well as in the expansion and modernization of existing units, such as the one in Sivas. The €140 M investment in the Sivas plant will be Votorantim Cimentos’ largest outside the American continent in this package. “Votorantim Cimentos sees the potential of Turkey’s construction sector and this investment shows our commitment to reinforcing our presence in Turkey. Sivas’ expansion will bring a crucial dynamism and competitiveness to the company in the Turkish cement market”, says Mustafa Şefik Tüzün, CEO of Votorantim Cimentos in Turkey. Considering the Europe, Africa and Asia region (VCEAA), Votorantim Turkey accounts for a share of about 29% of Votorantim Cimentos’ total production capacity, excluding China. Votorantim Cimentos has been present in the Turkish market since 2012, operating in Europe, Africa & Asia through its subsidiary VCEAA (Votorantim Cimentos Europe, Africa & Asia). Part of the Votorantim Group, a 100% Brazilian international company that is present in more than 20 countries in the Cement, Metals, Steel, Energy, Pulp and Agribusiness sectors, Votorantim Cimentos has been in the construction materials business (cement, concrete, aggregates and mortars) since 1933. It is one of the largest companies in the sector, with an annual production capacity of 54.5 million metric tons of cement** and revenues of € 4.14 billion in 2014. Votorantim Cimentos has a network of operating units that are strategically located near the most important and faster growing consumer markets. In addition to Brazil the company is present in a further 13 countries, namely: Argentina, Bolivia, Canada, Chile, China, India, Morocco, Peru, Spain, Tunisia, Turkey, the United States and Uruguay. Votorantim Cimentos operates in Turkey through Votorantim Sanayi ve Tic. A.Ş., Yibitaş Yozgat İşçi Birliği İnşaat Malzemeleri Sanayi ve Ticaret A.Ş., and Votarantim Nakliyecilik Ticaret ve Sanayi A.Ş. ** Including joint venture operations in Bolivia & Uruguay and assets in China.